When I talk to parents many don’t realize there are certain expectations that the school already has on entering kindergarteners, regardless of whether or not they went to Pre-k. 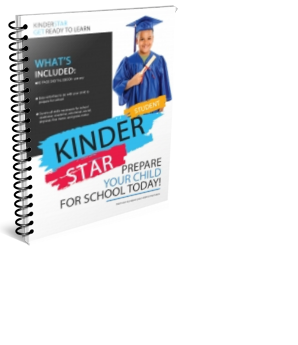 The truth is that there are actually a list of things that your entering kinder should know in order to succeed in kindergarten. It is very important to begin preparing your child for kindergarten, because there are certain expectations that are put on children to know before they enter school. Kindergarten should be a fun and engaging experience not a frustrating one. Kindergarten readiness skills are not just knowing sight words, and letters of the alphabet. The kindergarten readiness skills include audiovisual skills, fine motor skills, gross motor skills, social, and emotional skills, and more. When I teach my children, I do a lot of engaging, hands-on activities. 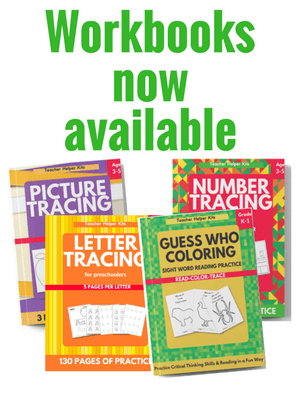 Yes, we do worksheets, printables, and workbooks. But not for long periods of time, and not every single day. Also, kindergarten readiness skills aren’t just knowing all 50 sight words, and all the letters of the alphabet. There are many skills that you need to do to prepare your child for school and in order to cover it all, you must start early. Can your child share toys and materials? Does your child easily separate from you? Can your child sit in a chair or on the carpet to listen to a story for 20 minutes? Can your child walk in a line without touching things? Does your child say please and thank you? Of course getting ready for kindergarten is also getting your child prepared for the academics that will be required of them. These are skills that can be introduced through many fun learning activities, and then reinforced with a workbook when your child is ready. It is important to teach your child how to hold a pencil and a crayon properly, because they will be using crayons on the first day of school. Getting ready for kindergarten is assisting your child to be in an environment away from you. He will have to be able to listen to other adults, play with children he doesn’t know, and begin learning independence. It is important for parents to begin early preparing their child so that the transition on the first day of school is a smooth one, not nervous or anxious. Start preparing your child for kindergarten today! Learn more now!